Jadon Sancho has attracted a lot of attention since his move to Dortmund. An English young gun is wanted by not one, not two, but THREE huge European clubs following his stellar stint away from British shores. Meanwhile, one Super Lig side are hoping to capitalise on Mesut Ozil's Turkish roots with the aim of luring him away from the Emirates. Chelsea are holding talks with AC Milan and Juventus over Gonzalo Higuain while also chasing Lyon star Nabil Fekir. According to The Sun, Higuain could join the Blues on loan in January with Alvaro Morata heading to the San Siro in a short-term swap deal. The Argentine is currently on loan at Milan for the season, but with the Italians struggling to adhere to FFP rules, may offload him. And with just 18 months left on Fekir's current contract at Lyon, the Frenchman could be tempted to join the Blues - if the fee is right, of course. Turkish outfit Istanbul Basaksehir are considering a shock move for Arsenal star Mesut Ozil. Real Madrid and Inter Milan have also been linked with the German playmaker but it's Basaksehir that have emerged as surprise contenders for Ozil's signature. According to TeamTalk the club are hoping to capitalise on the Gunners ace's Turkish roots with reports that Ozil would happily take up ano offer to leave Arsenal in January. Galatasaray and Fenerbahce are also interested in signing the 30-year-old - but after being named captain this weekend, a move away could be unlikely. Real Madrid, Barcelona and Bayern Munich are all keeping tabs on England star Jadon Sancho. 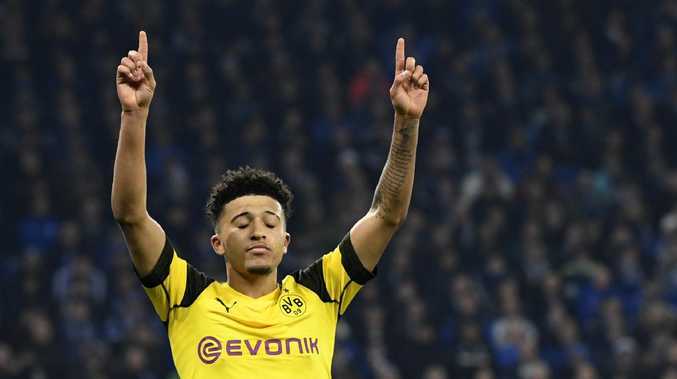 The Three Lions youngster is being chased by Europe's top clubs after an astonishing season so far at Borussia Dortmund. Sancho earned his first England cap this season as he continues to justify his move away from Manchester City in 2017. The 18-year-old has scored seven times in 24 appearances for Dortmund this season to become one of the first names on the teamsheet. And his form hasn't gone unnoticed either as the likes of Real, Barca and Bayern are all lining up to make their move come January. PSG have identified Merseyside pair Fabinho and Idrissa Gueye as potential January moves, according to French outlet L'Equipe. With Adrien Rabiot expected to leave in January, the French champions are desperate to sign a holding midfielder and it's understood the duo fit the bill. Rather than let Rabiot go for free in the summer, the Parisian side want to cash in on him an dhave lined up several huge big-name signings. 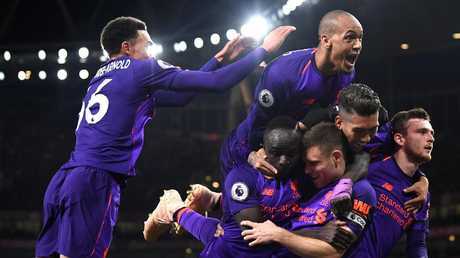 Gueye and Fabinho are the latest names on PSG's growing wishlist along with Southampton star Mario Lemina, Frenkie De Jong, Abdoulaye Doucoure and Diadie Samassekou. Fabinho hasn’t been a regular name in Jrgen Klopp’s starting eleven. Bournemouth forwards Josh King and Callum Wilson could be snapped up in the January transfer window. King will be on Ole Gunnar Solskjaer's radar next month, after the Manchester United caretaker insisted he "will have an input" on transfers. According to The Sun, Solskjaer is a massive fan of the fellow Norwegian - the pair worked together when hen the striker was coming up through the ranks at Old Trafford. King isn't the only man establishing himself on the South Coast, with Wilson's recent form earning him an England call-up. The Blues are said to be confident of securing a deal for the one cap, one goal, Three Lions star, with Sarri hoping Wilson can finally solve their striker struggles.